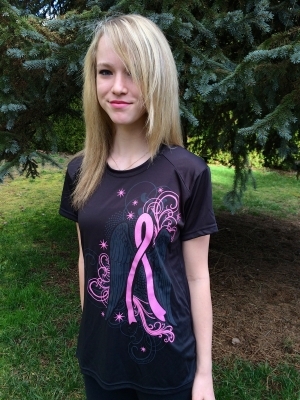 Our wicking shirt is sure to be a hit with all the walkers and runners out there. 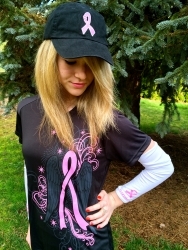 The Ribbon and Wings design- exclusive to Pink Wings- is a giant glitter pink ribbon with wings going down the left side of the shirt. Available in Black, Pink or White. Sizing runs very small. I advise you to order one size up. Comes in S-2XL. Also available with the word Survivor up the side of the shirt. Please choose color, style and size from drop down menu. Order yours today!